Woodlands is a small, friendly, family-run B&B where we make every effort for you to enjoy your holiday break. We are located in a secluded area of approximately two acres, with private parking. The Gardens are mostly lawned with traditional planted borders. The garden table and chairs are available for residents’ use, where you can relax and enjoy the tranquil surrounding area. 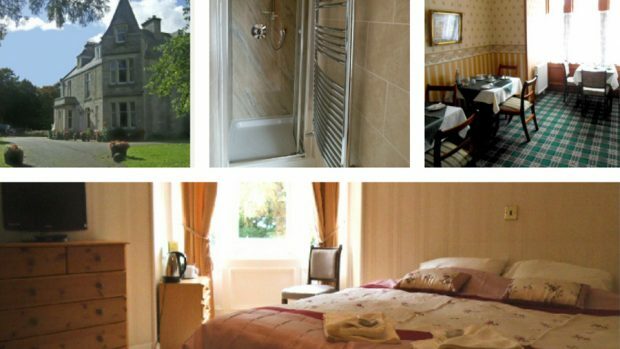 Woodlands B&B provides comfortably furnished centrally heated rooms. The rooms have recently been refurbished, most rooms having a shower room en-suite. All rooms are equipped with television, hair dryer and a complimentary beverage tray and are normally ready for visitors by 3pm. Breakfast is served between 8 and 9am (although we will make every effort to meet requests for early calls).